Your purchases from HealthLabsNutra.com are always risk-free. 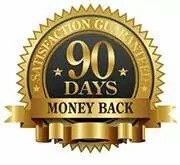 If you’re unhappy with your purchase for any reason at all, contact us within 90 days of your purchase and we will refund 100% of your money back. The products offered have not been evaluated by the Food and Drug Administration, and none of the products offered are intended to diagnose, treat, cure or prevent any disease. Individual results of products vary. 1.) The product(s) are unopened, unused and in resalable condition. 2.) Call or Email and request an RMA (return merchandise authorization number). 3.) We receive the product(s) at our address on the CONTACT page with the RMA number placed on the outside of the returned package. Refunds may take up to ten business days from the time we receive the merchandise back.